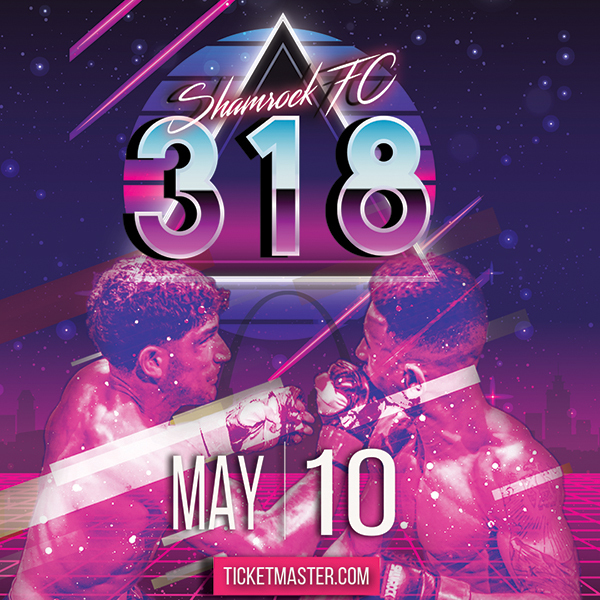 Just over three years ago the Heart of St. Charles Banquet Center was host to professional kickboxing when Jim Jenkins' MMASF hosted an event. Heavyweight Doug Sauer took on Jeff Robinson, KO'ing Robinson in a wild affair that saw the veteran in trouble early, but surviving to the second round where he put his opponent away with heavy punches. 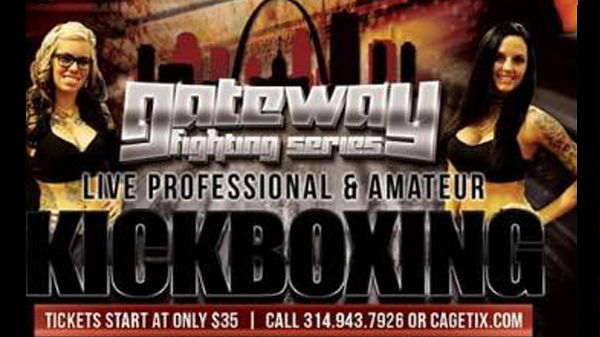 Since Jenkins' exit from the scene, Jared Daniels-Block's Gateway Fighting Series has become the heir apparent hosting pro and amateur events at the Heart of St. Charles. This Friday's pro kickboxing is Gateway's second attempt at pro kickboxing, and its first time doing so at the Heart of St. Charles. Headlining Friday's card is Quinton O'Brien (2-1) returning for what could be his last trip to the ring. O'Brien, the lone holdout from the Jenkins' days, made his professional debut on the aforementioned MMASF card, and since then has made a trip to Vegas to compete for Glory Kickboxing to compete in a one-night tournament. Juggling a busy career for Boeing, O'Brien hasn't been incredibly active in the kickboxing circuits choosing to help train younger fighters in the craft at Vaghi's Art of Eigh Muay Thai, and more often than not in his KCB Garage. Standing across from O'Brien on Friday is Thomas Jenkins out of the Minnesota Martial Arts Academy. After a successful run as an amateur that saw him rack up an 18-4 records as an amateur, Jenkins will be making his professional debut on Friday. At 6-foot-5, Jenkins will have the height and reach advantage, something that typically O'Brien uses to his advantage. In a grudge match dating back many years, Matt Murphy - out of the Academy of Courage - will take on Sheldon Smith. The two mixed it up as amateurs and despite plenty of heat going into their previous encounter, it doesn't appear their beef was settled. Murphy has been very active competing in at least five pro MMA bouts, and several more pro boxing events in 2016. As far as we can tell, Smith has been on the shelf since January of 2015. The "Made Man" Jamese Taylor will make the jump to the pros taking on Kevin Brown. Brown has a bit more seasoning than Taylor and has been active of late competing for Shamrock FC, and RFA among others. Taylor had a great run as an amateur and relied on his striking talents to win the lion's share of his MMA bouts so professional kickboxing should fit him nicely. Watson Martial Art's striking ace Luke Nelson will return to action to take on KJ Jones. Nelson defeated Jason Slattery in his last trip to the ring and then competed as part of the RFA last fall in an MMA contest. Nelson is one of the best strikers in the area and it will be interesting to see what Jones, primarily known for his wrestling, can offer in this stand-up battle. Super heavyweights Charles Rodgers and Deon West will face off in what could be a short night for somebody if one of the two very-large men connect with a solid punch. Rounding out the main card is Johnny Cox taking on Marcus Brownlee in a rematch of a hotly contest bout form GFS 5 where Brownlee scored a last second KO over Cox in the first round.. Highlights of the undercard are Wolves' Den's Brandon Beatty taking on Dylan McCollum. Beatty looks to have a wealth of potential, and was easily one of the best amatuer strikers on Gateway's January kickboxing card at Chaefitz. Primarily known for their jiu-jitsu, Watson Martial Arts will be sending four of their amateur fighters Jimmy Timmerberg, Danny Moriarty, Colin Parr and Edwin Rowe to join pro Luke Nelson on Friday's card. One female bout rounds out the preliminaries with Jennifer Higgins facing Drea Hawkins.